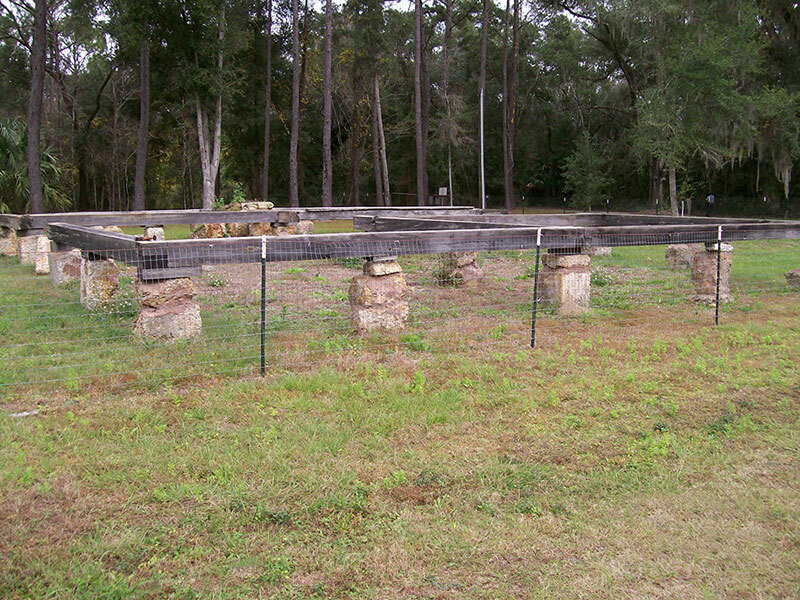 ​The foundation is all that is left of a several thousand acre plantation on the east side of Gainesville. The house and its circa 1900 kitchen addition stood until 2008, and was the only known ante-bellum house on the east side of the county. The historic large beams that supported the house still show the inscribed Roman numerals used to properly assemble the framework. A historic marker was placed on the site in 2016. The foundation ruins may be observed from outside the fenced area.